Located off Carothers Parkway, the Waters Edge Subdivision is a single-family home development in Franklin TN (Williamson County). Popular streets in Waters Edge Subdivision include Braun Drive, Devinney Drive, Flatwaters Drive, Headwaters Drive, Inland Drive, and Laughing Brook Lane. 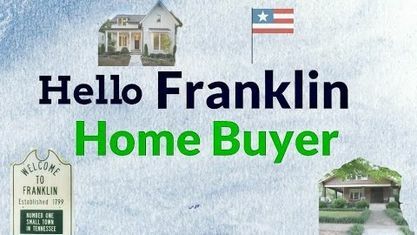 Other popular Franklin Subdivisions near Waters Edge Subdivision include Cedarmont Farms Subdivision, Echelon at Lockwood Glen Subdivision, Lockwood Glen Subdivision, Redwing Meadows Subdivision and Simmons Ridge. View our selection of available properties in the Waters Edge Subdivision area. Get to know Waters Edge Subdivision better with our featured images and videos.